The Premier League is a commercial giant. Despite widespread concerns about ticket prices, average attendance last season was higher than at any previous point in league history; the league also continues to attract significantly more television viewers than its European counterparts. In January, Premier League CEO Richard Scudamore sold the league’s domestic television rights to Sky and BT Sports for more than five billion pounds, the biggest TV deal in soccer history. Premier League teams have wasted no time investing their new television revenue in the transfer market. With three weeks left in the summer window, the clubs have already spent more than 500 million pounds, putting the league within reach of last summer’s record total. “A new record is likely as clubs look to benefit from the new TV deal,” Rob Wilson, an expert on soccer finances, told the BBC last week. But that’s not why Scudamore, or the lackeys who write his press releases, calls the league “competitive and compelling.” In the mid- to late 2000s, Premier League teams, deploying an aggressive brand of soccer honed in high-speed domestic matches, dominated European play. An English team appeared in the Champions League final every year between 2006 and 2009. In 2008, Chelsea and Manchester United faced off in an all-English Champions League final at the Luzhniki Stadium in Moscow. The Premier League topped UEFA’s performance-based coefficient rankings, securing English teams the maximum number of Champions League and Europa League slots. 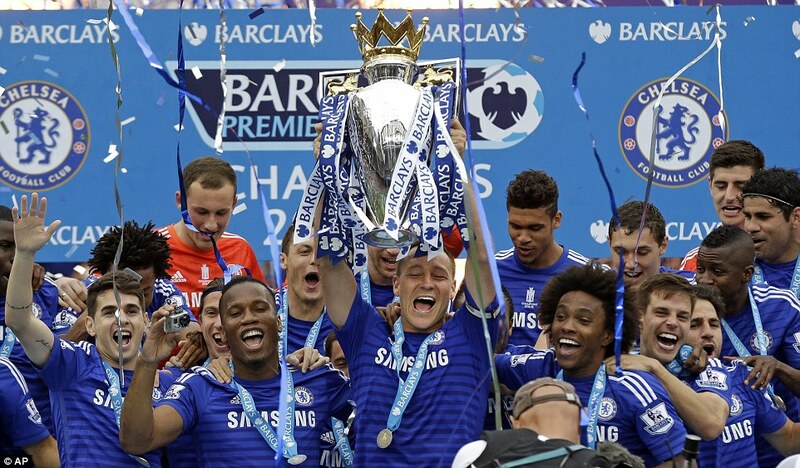 Since 2009, however, Premier League teams have mostly failed to match their former glories. Chelsea beat Bayern Munich to win the Champions League in 2012 – but only one English team has reached the semi-finals in the last three seasons. In May, the Premier League fell to third in the UEFA rankings, behind Spain and Germany and just a few points ahead of the Italian Serie A. It’s entirely possible that next season England will lose its fourth Champions League slot. The Premier League’s recent struggles can be attributed to a number of factors: Cristiano Ronaldo’s departure, the inevitable aging of a generation of talented English players, Arsene Wenger’s inability to navigate two-legged contests. But the real reason for the Premier League’s apparent decline has nothing to do with the gradual burnout of Frank Lampard or the predictable flakiness of Arsenal’s midfield. The league’s problems stem directly from the almost supernatural brilliance of Pep Guardiola’s Barcelona. The rise of Guardiola’s Barca, arguably the pivotal development of the last decade of European soccer, fundamentally altered both the competitive landscape of the Champions League and the aesthetic sensibilities of a generation of soccer fans. Barca has eliminated English teams from the Champions League in six of the last eight tournaments. Manchester City, a financial titan that really should be challenging for European trophies, has now lost to Barca in the first elimination round two years in a row. Moreover, Barcelona’s distinctive playing style, a mesmeric, possession-oriented approach anchored by an elaborate system of triangles, has offered a highly competitive, highly compelling alternative to the relatively simple and direct strategies favored by English teams. The current popularity of tiki-taka passing – among youth coaches and casual fans, tactics bloggers and aficionados of the FIFA videogames – has turned the rough-and-tumble Premier League into the subject of myriad 140-character wisecracks. Pundits, especially so-called European experts who watch all the major leagues, love to mock the strategic shortcomings of Premier League lineups. Certain sectors of the self-anointed soccer intelligentsia have adopted the mantra “goals are overrated” to express their preference for tactically sophisticated 0-0 draws. Would you rather watch Lionel Messi and Andres Iniesta casually nutmeg outmatched defenders, or see Liverpool and Manchester United kick each other to smithereens? Of course, it’s not quite that simple – there’s plenty of intricate passing in the Premier League, and La Liga players are not immune to the temptations of dirty tackling. But the choice between elegance and physicality, intelligence and intensity, has polarized soccer fans for decades. And the Premier League is beginning to lose ground in this long-running culture war. Still, when Manchester United kicks off against Tottenham on Saturday morning, hundreds of millions of fans in countries around the world will tune in. The Premier League isn’t hip anymore. But it’s still making plenty of money. Without doubt. You simply cannot beat the Premier League. Great post by the way be sure to keep up the good work, and while you are at it, it would be greatly appreciated if you could check out my page!